A friend asked me to take over this white pine’s recovery back in March. It was given a death sentence at a master’s workshop last year, because it has a large wound on the trunk that bled profusely. My friend managed to stop the bleeding with cut paste, and stabilize the tree, but didn’t have enough sun in the yard to kick start the recovery. 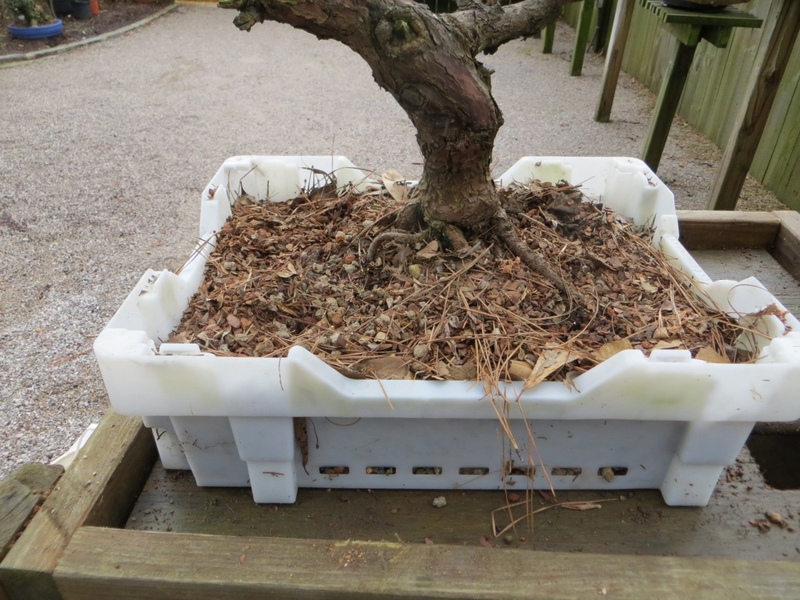 When I received the tree, it had been slip-potted into this white crate, loosely wired in, and packed with mulch. For a white pine that needs to be pumped up, we need a different course of action. It needs to be immobilized in a freely-draining coarse soil that can dry quickly after watering.